Samlara Baah is an HR professional with over a decade’s experience in the field. 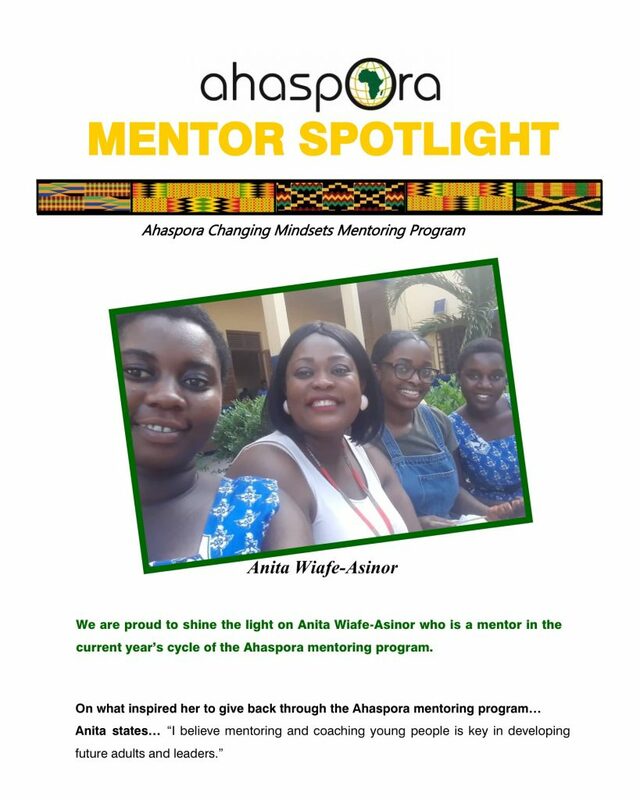 She moved to Ghana from the United States where she grew up and attained an MBA in Global Business. 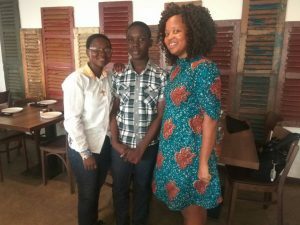 Having lived just about 4 years in Ghana she has worked with nonprofit organizations to provide non-skilled workers skills to obtain employment or start businesses. In 2014 she founded Looworks Limited with the goal of providing a homemade solution to a worldwide issue of communities not having proper toilet facilities. 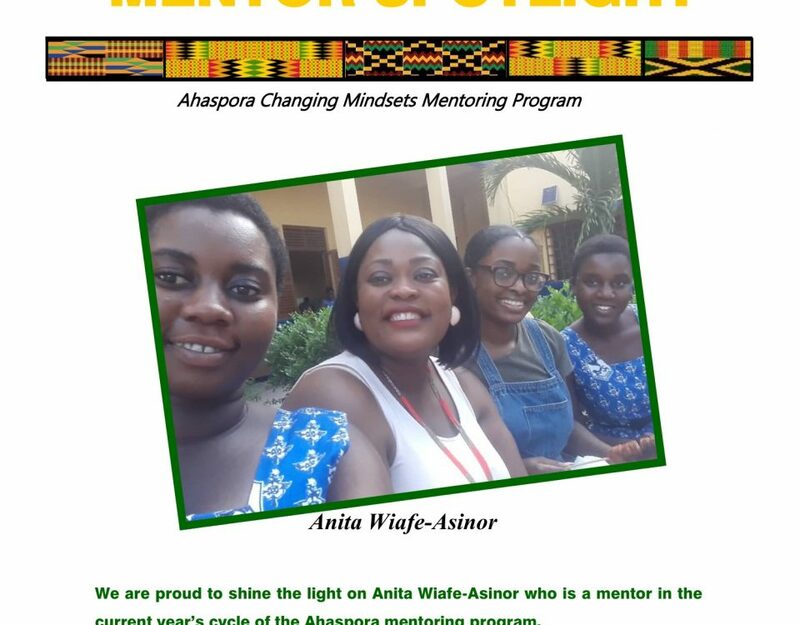 We had a chat with Samlara to find out about her experience as a mentor of the Ahaspora Changing Mindsets Mentoring Program. 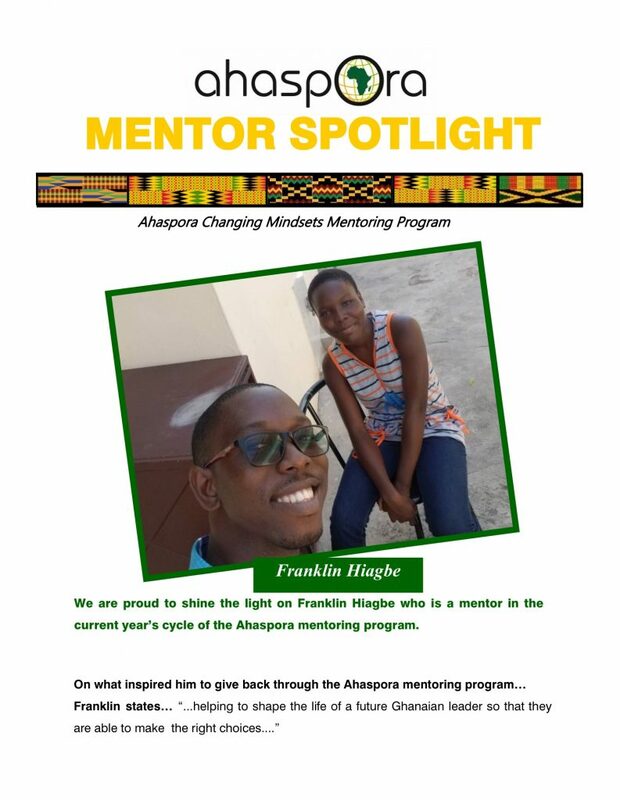 Q: What inspired you to give back through the Ahaspora mentoring program? When I look at the person I am able to be today, in addition to all that I have achieved, it’s a direct result of those who have poured into me. I grew up with many resources at my fingertips, but it was often the extra push or exposure to a worldly experience that encouraged me to broaden my horizons and grow. 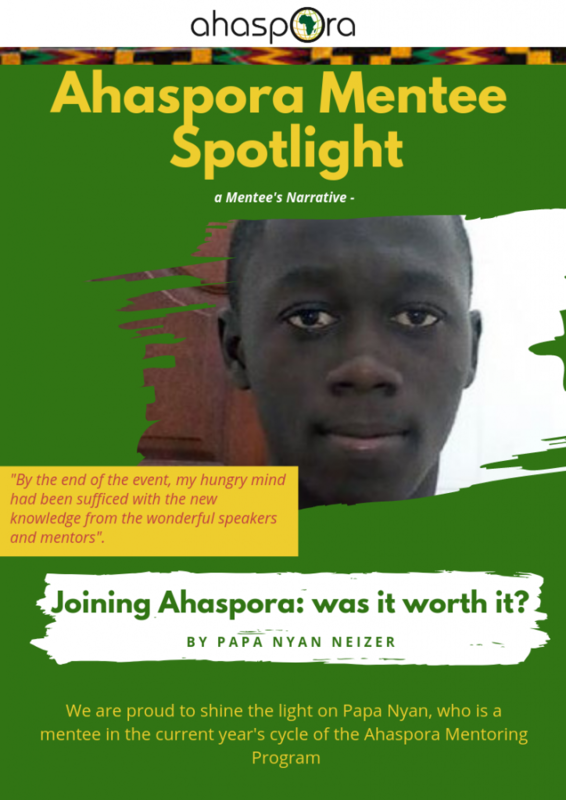 This coupled with the fact that in the last ten years I have been exposed to so much that I wish Ihad known about as an adolescent, I felt compelled to share anything I could with any young person willing to explore more and commit to this journey. Q: What has been your experience so far as a mentor? I have been so inspired by my mentee’s, one in particular is so strong in her resistance against following the pack and chooses to do what is right as opposed to what is popular. Each time I spend time with her I feel like I have learned something or have been rejuvenated in some way. I have been able to pair each of my mentee’s with professionals in the areas they want to study in the future. 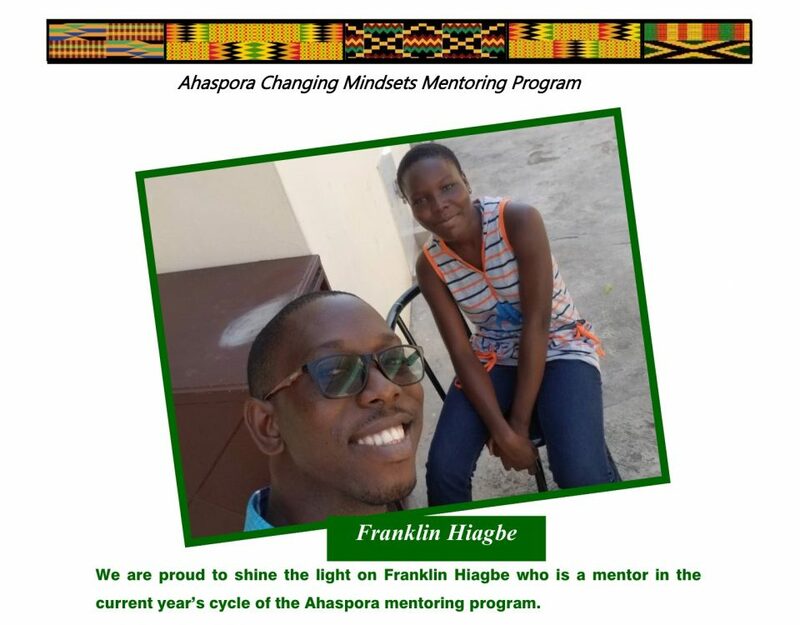 I look forward to the additional mentorship relationships they are gaining as a result of these connections. We are all aware of how much further we have to go as a country, the relationships with my mentee’s gives me so much hope in our nation’s future. This experience may be benefiting me far more than my mentee’s. Q: What has been your most memorable moment with your mentee? Though it’s not one moment, I will say the genuine excitement a mentee has over simply spending time with me astounds me and gives me vim for days. 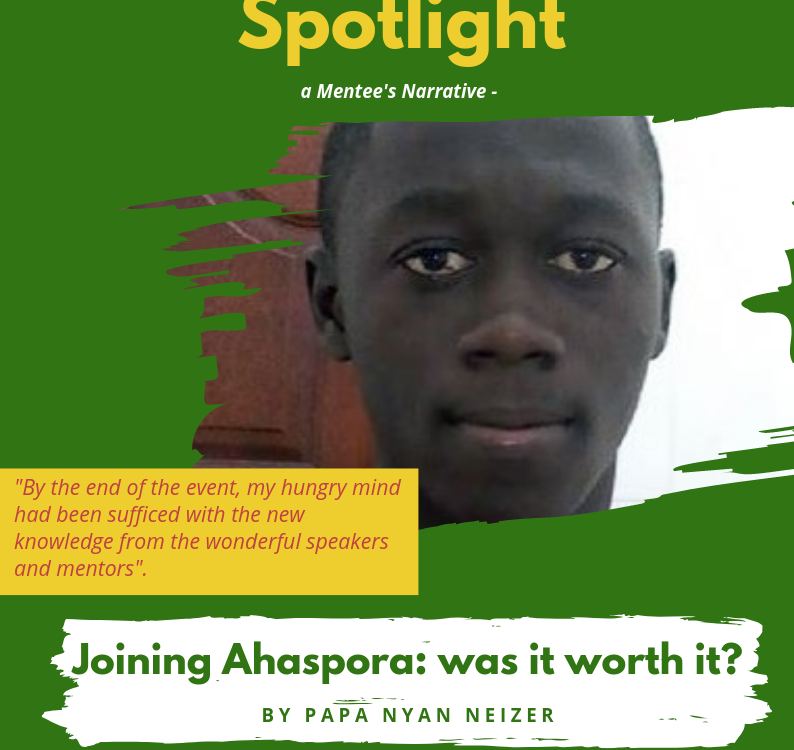 Thank you for this opportunity Ahaspora! Want to be a mentor? Read all about our program and how to get involved here.